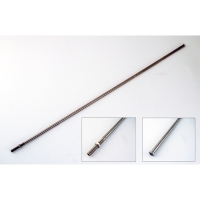 Stainless Steel Kemmerer Parts For 1200-1280 Series There are 23 products. 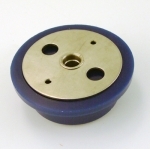 Replacement polyurethane top seal assembly. For Wildco Stainless Steel 0.4 and 1.2L Kemmerers. Top stopper assembly silicone for 1220/1230/1240/1260 Kemmerers. Bottom stopper silicone for 1220/1230/1240/1260 Kemmerers. Replacement silicone bottom seal. For Wildco 2.2, 6.2L Stainless Steel Kemmerers. Shaft assembly for 1230 and 1280 Kemmerers. Replacement SS shaft assembly, SS, 3.2L Image may vary. Shaft assembly for 1240 Kemmerer.  Replacement SS shaft assembly, SS, 4.2L Image may vary. Shaft assembly for 1260 Kemmerer. Replacement SS shaft assembly, SS, 6.2L Image may vary.